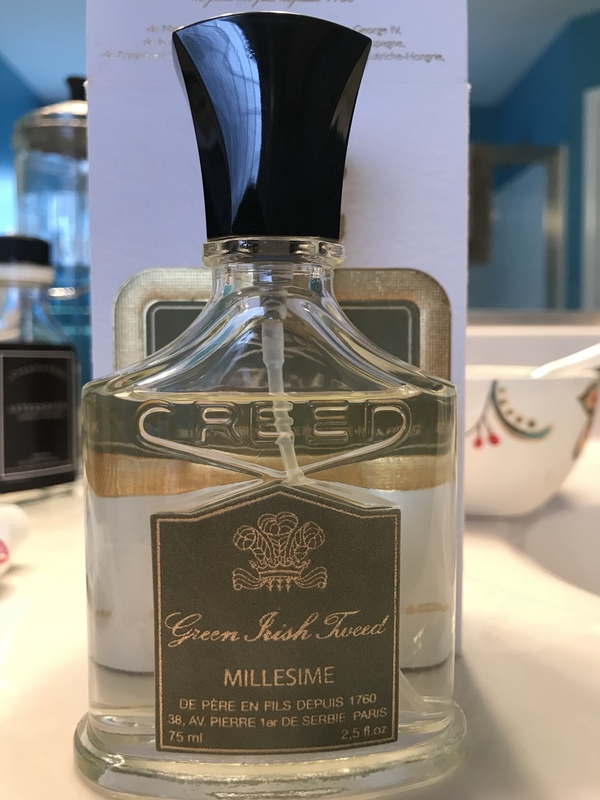 I have a bottle of Creed Green Irish Tweed that I’ve purchased a few years ago and only has been used a handful of times. Paid $270 retail, asking $135 shipped. CONUS. Not responsible for breaking or leaking during transit, but will pack it to the best of my ability to prevent. Thought git came in black sheen bottle? (11-05-2017, 03:56 PM)DanLaw Wrote: Thought git came in black sheen bottle? It does now. Not when this was purchased. The 75ml Green Irish Tweed has always come in this style bottle with a green label. Only the 120ml (and now 100ml) come in the black bottle. (11-05-2017, 04:01 PM)nervosa1901 Wrote: The 75ml Green Irish Tweed has always come in this style bottle with a green label. Only the 120ml (and now 100ml) come in the black bottle. Thanks for the info Chris . Hope you’ve been well.